Whovian Running Club is pleased to announce our fourth event of 2018: The Liz 10k! Our fourth event of 2018 is celebrating one of the coolest monarchs in history...Her Royal Highness Elizabeth the 10th! She's the bloody queen, Mate...basically, she rules! 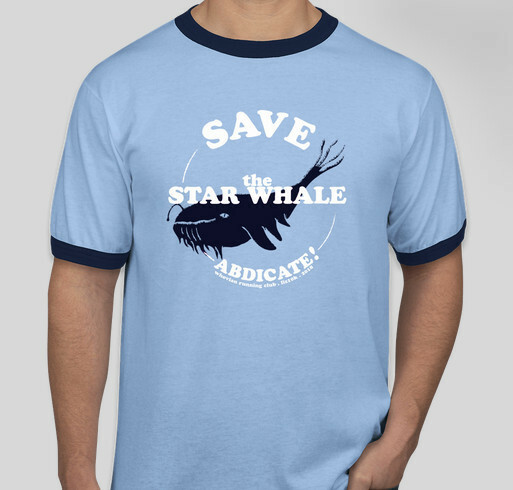 Anyone can get a "Save the Whales" shirt...but this is the first ever "Save the Star Whale" shirt!! All proceeds will go to our Charity Partner for this event: Oceans Initiative. The suggested run date for this event is Saturday, July 7th...Jon Pertwee's birthday! Remember, this is just a fun suggestion. You are welcome to complete your 10k whenever you want! All medals will be mailed the week after registration closes. Sign up today and let's save some whales!! Share Why You Support "Liz 10K"